Welcome to Pristine Windows & Power Washing. 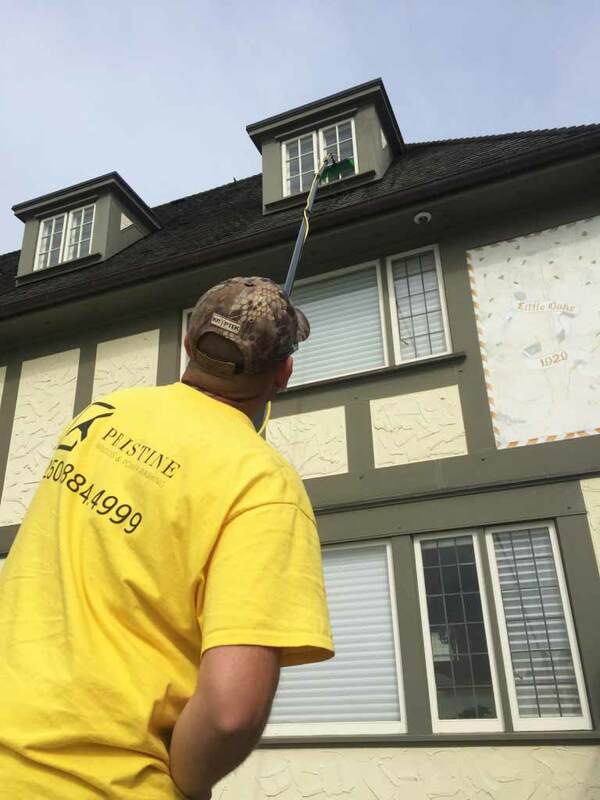 We provide window washing and exterior maintenance services to residents and businesses in the Greater Victoria area. We service homes, businesses, stratas and construction sites with window cleaning, power washing, gutter cleaning, de-mossing and repairs. We provide quality work for quality people. Our team of window cleaners takes pride in doing a great job every time. We show up to jobs on schedule and deliver what we promise. We’re here to save you time and give you peace of mind knowing that you can trust the team working on your home or business. Contact us today and let us know a convenient time and date for your next service. We want to what do what works best for you and will do everything we can to accommodate your request. We look forward to working with you. We have years of professional experience window cleaning. We help residential and commercial businesses with their window washing needs. If you have a dirty window we’ll clean it, quick and proper. Keeping a clean maintained gutter is very important – it protects your home from water damage. If a gutter is improperly kept it can lead to serious problems for your home. Call us for regular maintenance to avoid future disaster. Our power washing service is perfect for cleaning brick, cement, sidewalks and driveways. We help remove dirt, grime and mildew that can collect over time. If left unmanaged this can lead to expensive renovations or replacements in the future. When our company was a part of Check TV’s The Hard Way series, we worked with some amazing business people who helped up put together our first TV commercial. We had a great time on the show and this is the end product of what we learned about TV commercials. We loved how it turned out. Check it out! Proin facilisis varius nunc. Curabitur eros risus, ultrices et dui ut, luctus accumsan nibh. Fusce convallis sapien placerat.